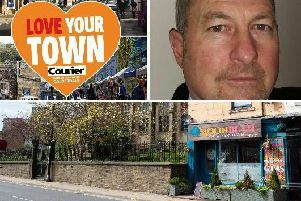 Calderdale Police has warned violence against officers will not be tolerated after another assault on an officer at the weekend and follows an incident in Saltburn Street, Halifax, last week. Officers from the Safer Roads and Neighbourhood Support team arrested a 42-year-old-man in Halifax on suspicion of theft at 3pm on Saturday August 27. The man was further arrested on suspicion of assaulting a police officer and enquiries are ongoing. The latest assault follows an incident last Wednesday which left a male and a female officer with cuts and bruises. It occurred at about 10.55pm after police were called to a report of a domestic incident involving a male at a house party in Saltburn Street. Officers attended and during the course of making an arrest for breach of the peace, both were assaulted by a male to the face and head. While trying to make the arrest, the female officer was further assaulted by a person in a small crowd which had gathered outside to watch the incident. Other police units attended to help disperse the crowd and complete the arrest. Both officers were taken to Calderdale Royal Hospital for checks and remained on duty. Chief Superintendent Dickie Whitehead of Calderdale Police, said: “I want to make it absolutely and completely clear that acts of violence against police officers will not be tolerated in Calderdale or anywhere else in West Yorkshire. “Police officers do a difficult and dangerous job , and it is utterly unacceptable that they should be treated in this way while attending at a disturbance to try and keep potential victims safe. “Both officers were able to remain on duty following the assault, but the consequences could have been much worse.